Facebook paid $16 billion (£11.4) to buy WhatsApp which should help the social networking giant get access to the Chinese market. Facebook is also throwing in an extra $3 billion in restricted stock units that will go to WhatsApp’s employees; those will vest over a period of four years after the acquisition is finalised. Facebook is shelling out $4 billion in cash and $12 billion in stock for the app, pending regulatory approvals. If the merger doesn’t work out, Facebook has to pony up $1 billion in cash and another billion in stock. Facebook which is blocked in China, where WhatsApp can be accessed in the country and the product is available for download. Back in 2009 China blocked access to Facebook, after protests in the western part of the nation broke out into ethnic violence. Despite the government block, Facebook’s CEO Mark Zuckerberg once said he was interested in expanding the company’s presence in China. In 2010, he was even spotted visiting a few of China’s biggest Internet firms, fueling speculation that his company was on the verge of setting up a joint venture in the country. The mobile instant messaging client WhatsApp, in contrast, hasn’t met such scrutiny in China. The main reason is probably that the product isn’t that popular in the nation. Whatsapp, also known locally as Weixin, has over 270 million monthly active users, most of them in China. But WeChat isn’t simply a messaging app, and has evolved into a social networking platform to host other services, according to analysts. See Facebook press release below. 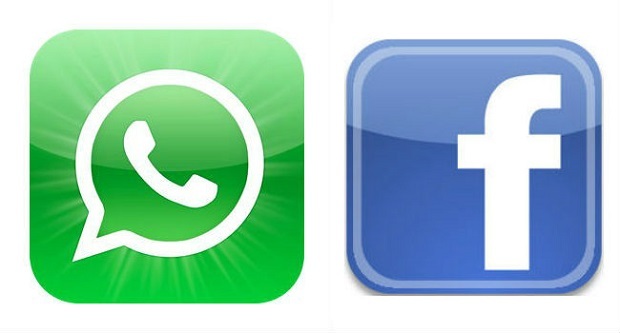 Do you think Facebook has paid over the top for Whatsapp? Leave comments below. Facebook will host a 30-minute conference call to discuss the acquisition at 3:00 pm PT / 6:00pm ET today. The dial-in number for the call is (866) 751-3284 (toll free) and (973) 935-8772 (international), conference ID: 2907041. The live webcast of the call can be accessed at the Facebook Investor Relations website at investor.fb.com. Facebook uses the websitehttp://investor.fb.com as a means of disclosing material non-public information and for complying with its disclosure obligations under Regulation FD.